The world is made up of people of striking physical differences. Our hair, skin, and our general physical appearance are identifiably different from others. The way we look has a lot to do with where we originated. 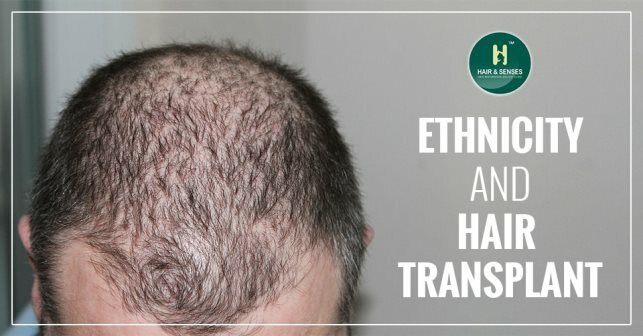 Even in hair transplant procedures, racial differences have to be taken into consideration during the diagnosis, and during the actual hair transplant procedure. What might work for a person of a particular race or ethnicity might not work for another. When it comes to hair and hair follicles, there are some fundamental differences in the density, texture, and number of hair follicles in each follicle, in people of different ethnicities and races. Caucasians, for instance, have the highest number of hairs per square inch, while Africans have the lowest. Asians have one to two hairs per follicle; Africans have three, while Caucasians have between two to four hairs per follicle. The texture of hair in people from different ethnicities is very different as well. Compared to African hair, Asian hair grows faster and is denser. All these have to be considered while a hair transplant surgeon conducts a diagnosis of the patient's scalp before a transplant. The thickness of skin is another difference that is to be considered during a transplant. Some types of skin are more prone to skin scarring called keloids, which means that in these patients the healing process of the skin involves the formation of noticeable raised scars on the skin. Usually, patients who are prone to keloids are not recommended hair transplant surgery. Even when a surgeon determines the kind of procedure for a patient, their ethnicity comes into play again. Surgeons around the world use two kinds of procedures for transplant - FUE or Follicular Unit Extraction technology –which involves taking healthy hair follicles from a donor area, usually the back and rear of the head, and implanting it onto bald or thinning spots. And FUT or Follicular Unit Transplantation – which involves extracting a strip of scalp from the back or sides of the head, dissecting it into individual grafts, and implanting them on the bald spots. Now, in Caucasians both procedures can be easily done, but in Africans, both might not work as the follicles are curled under the skin. While FUE works great for Asians because of the coarseness of hair. Also, culturally, different ethnicities have slightly different ideas of what looks good. For Indian men, having hair at the front of the head is very important, so they usually demand a lower hairline. While in some ethnicities, a widow's peak is perfectly acceptable and considered handsome. The way the hairline is designed is also determined by ethnicity. African men have straight, sharp hairlines, while Caucasians’ hairlines are high. Therefore, while designing a hairline during a transplant, these things have to be taken into consideration to create a natural look.